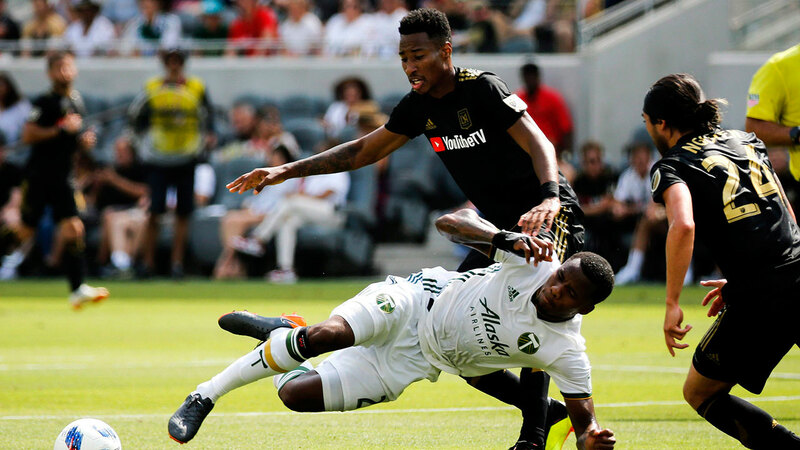 LOS ANGELES — Canadian midfielder Mark-Anthony Kaye’s breakthrough season with Los Angeles FC appears over with a broken ankle suffered in Thursday’s derby match with the L.A. Galaxy. "I’ll start with the worst news of the night," LAFC coach Bob Bradley told the post-game news conference. "It’s Mark-Anthony Kaye, fractured inside part of ankle. Surgery (needed). That part has had me in a bad mood since I got the report at halftime." There was no immediate timeline on Kaye’s return. An LAFC spokesman said Kaye saw a doctor Friday to determine the extent of the injury before coming up with a treatment plan. The 23-year-old from Toronto was hurt 16 minutes into the 2-2 tie. Advancing on the Galaxy penalty box, he tried to pull the ball back to avoid Galaxy midfielder Perry Kitchen. The Galaxy player appeared to clip his leg and Kaye’s ankle rolled on the turf. Kaye has started 20 of LAFC’s 21 matches this season with two goals and five assists. The former York University player spent time with Toronto FC II in its inaugural USL season in 2015 before playing the next two seasons with Louisville City FC of the USL.